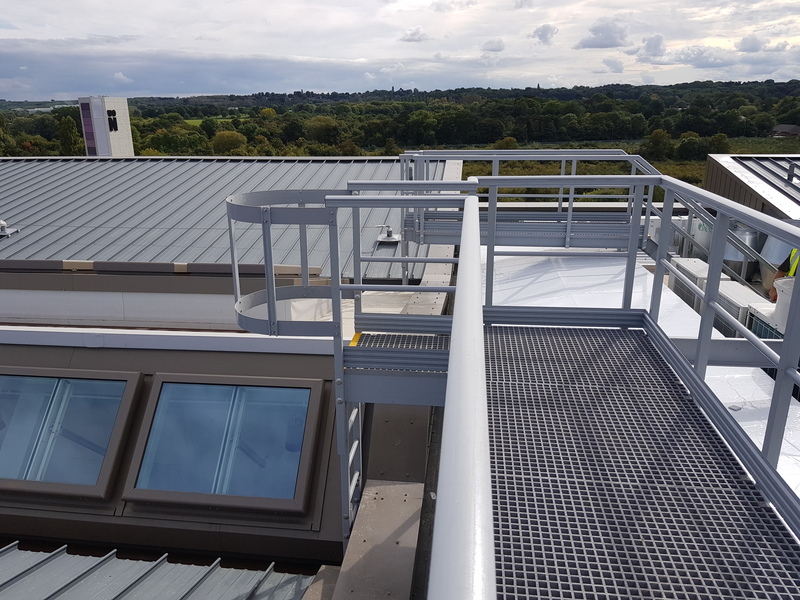 Intro - Development of a 58 acre brownfield site created a new waterside campus for the town with an estimated cost of £330 million. 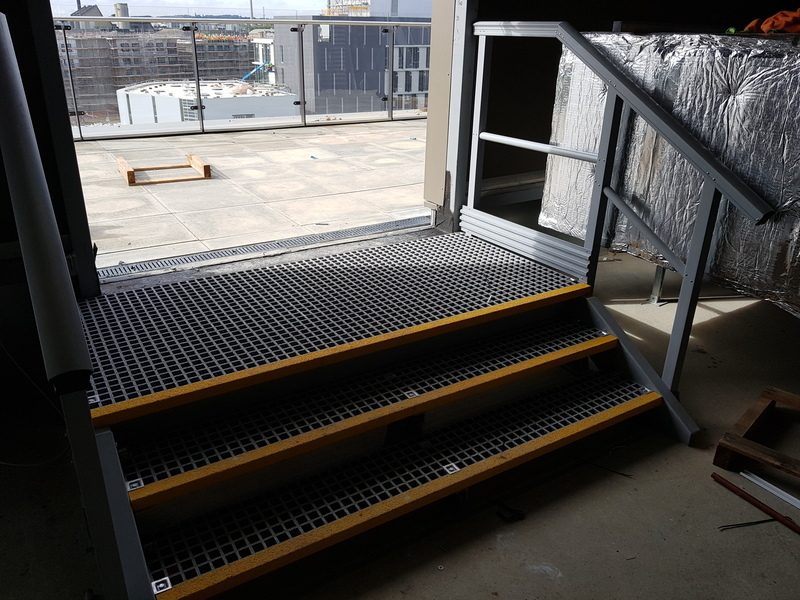 Project - To provide safe and easy access over and to key M&E Equipment for maintenance and fire escape purposes. 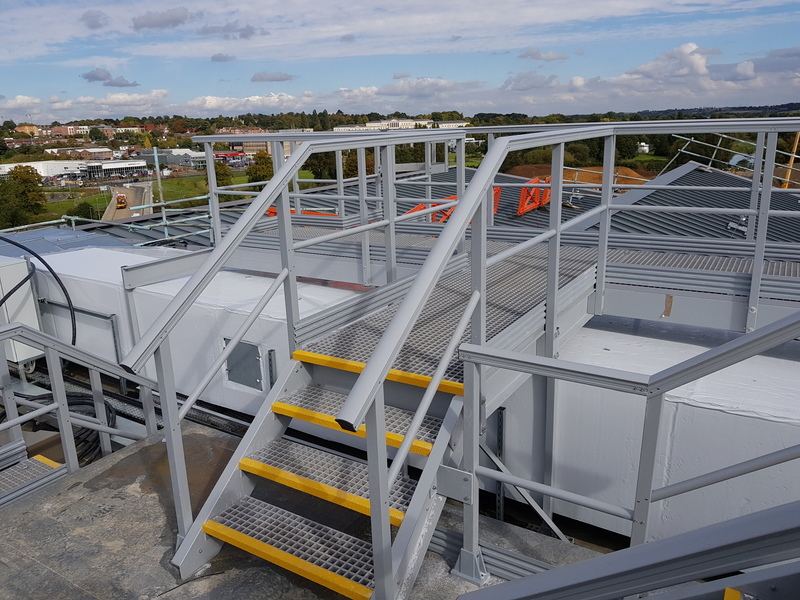 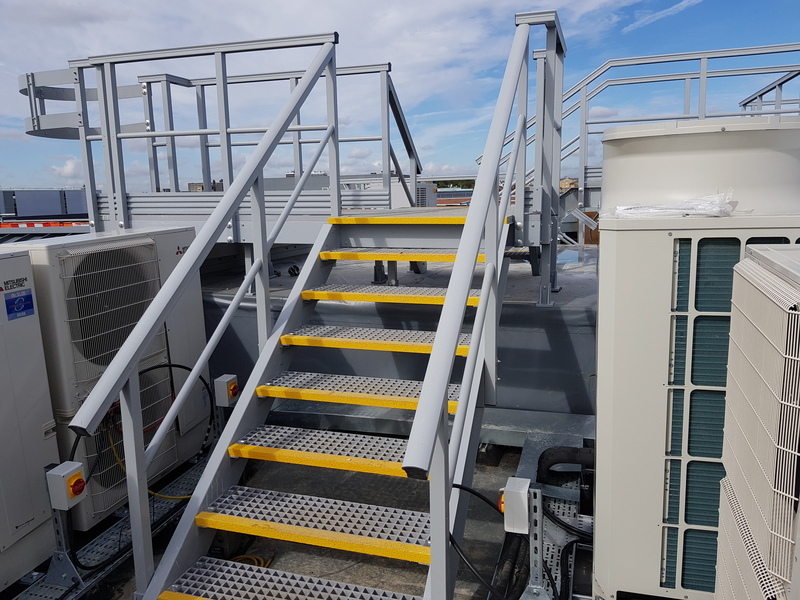 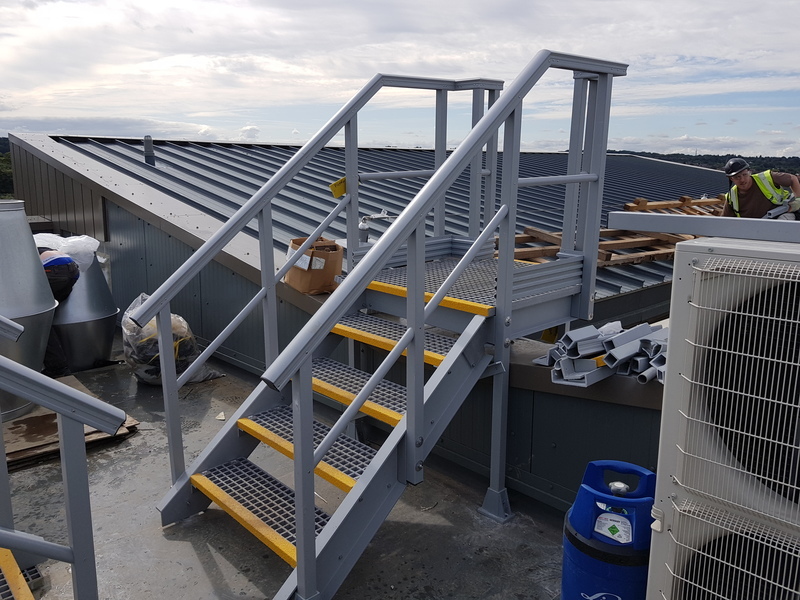 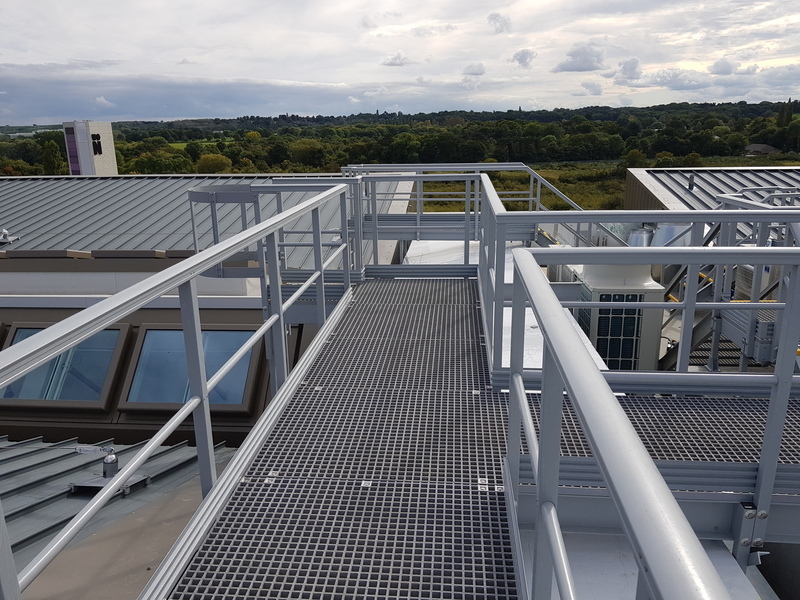 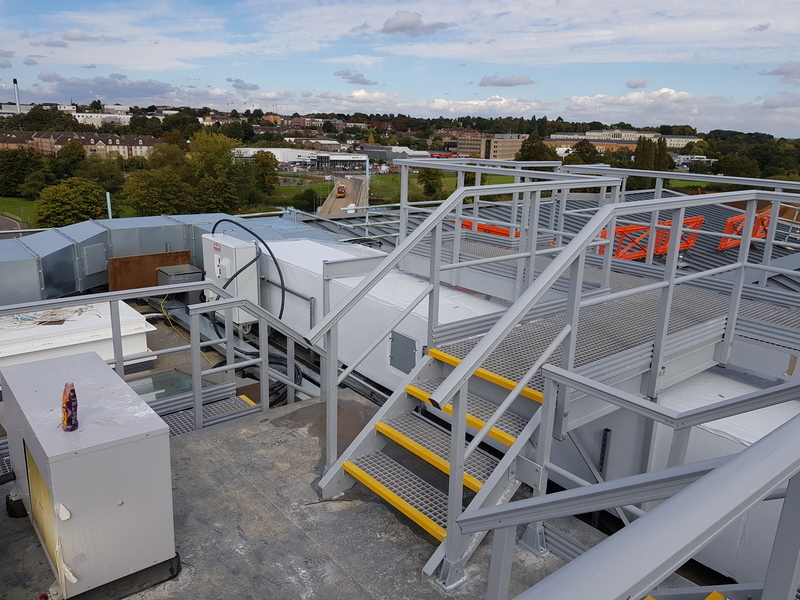 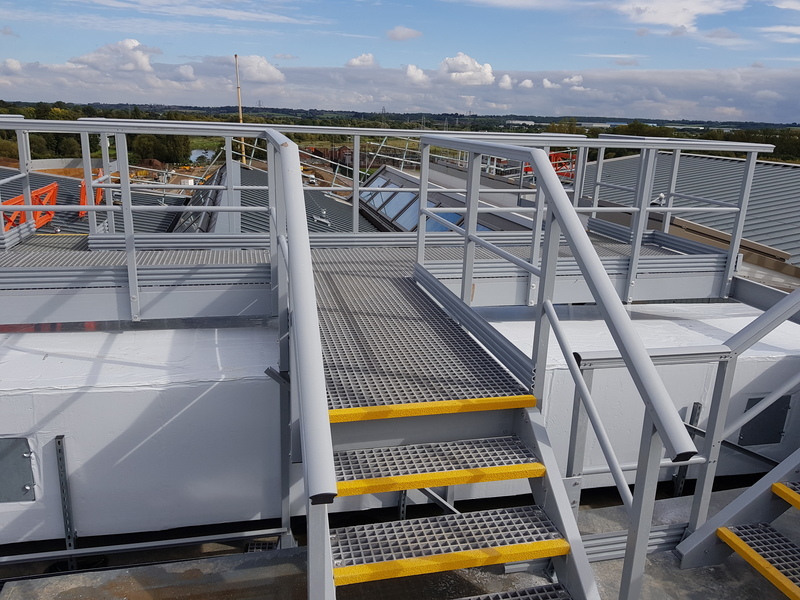 The Solution - Deck Safe conducted site measures, bespoke CAD designs, crane lifts and a speedy installation of 10x GRP Light Weight Access Platforms where the team turned the project around in 3 weeks from placement of order to ensure the client met their deadline.